UK digital terrestrial More4 has acquired CBS All Access original The Good Fight. The Channel 4-owned network ran Good Fight predecessor The Good Wife to ratings success, prompting it to move for the new show, which will play in the UK in the spring. 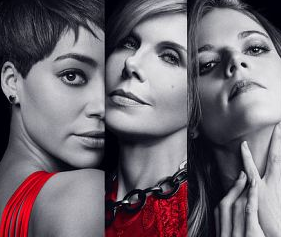 The Good Fight is set a year after the events of The Good Wife, which was initially for CBS in the US, and is for SVOD player CBS All Access. The series follows a young lawyer (Rose Leslie) whose reputation was destroyed by a financial scam that wiped out the savings of her mentor (Christine Baranski from the original series), with both then forced to join a pre-eminent Chicago law firm. CBS Television Studios produces in association with Scott Free Productions and King Size Productions. CBS Studios International sells both series around the world. “The Good Wife has been a ratings success for More4, so we are pleased for loyal fans of the series that the spin-off has found its UK home here,” said CBSSI senior VP, Europe Stephen Tague. In related acquisitions news, UK pay TV platform Virgin Media has acquired Imposters, the ten-part series for NBCUniversal-owned cable channel Bravo that launched on February 7. The series is the latest exclusive deal Virgin’s chief digital officer, David Bouchier, has struck as part of a strategy to offer subscribers more first-run programming. Virgin has bought six exclusives in the past 18 months, namely Ash vs Evil Dead, Kingdom, Magic City, Billy & Billie and Full Circle. Universal Cable Productions is behind Imposters, which follows a trio of men who join forces to track down a beautiful con-artist who has robbed them of everything.